Since the time we started working on ELEX Dynamic Pricing and Discounts for WooCommerce plugin, our prime intention had been to build a product that is devoid of every issue we have faced while searching for the right pricing plugin for our website. Thus, we had so far and still continue to strive to make this plugin inclusive of every required feature. At this juncture, getting listed in FinanceOnline, one of the top business review directories has served as a motivation and helped us get a step ahead in our journey. We are happy to share that FinanceOnline has recently published a detailed review of the ELEX Dynamic Pricing and Discounts plugin. We are delighted to get recognized by such a significant platform trusted worldwide for their authentic software reviews. Their reviews answer every possible question one might have while searching for the right software. Just while the plugin is gaining huge popularity, getting an insightful review published is indeed highly satisfying. Their review includes a descriptive comparison with all the existing software in the concerned domain. It’s a pleasure to announce that FinanceOnline.com has honored us with two of their prestigious awards – 2017 Rising Star Award and the Great User Experience Award for 2017 for their e-commerce software reviews. The Great User Experience Award is usually given to products whose contribution to the quality of user experience is fairly significant while the Rising Star Award is meant for products which have immense potential to be at the top of the list. We promise to live by the perceived expectations and continue improving and innovating our product. Being launched a few months back, it is motivating to held the above two titles. An even stronger incentive for us was also the mentioning of the Dynamic Pricing and Discounts plugin on FinancesOnline’s list of most popular ecommerce softwares. Thus, we pledge to remain committed to our vision of providing a complete solution for your pricing and discount issues. 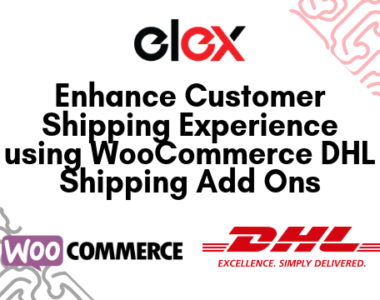 You can explore other WooCommerce and WordPress plugins in ELEX. How to Choose the Best Plugin for WooCommerce USPS Shipping Integration?